Last week, I led an online discussion with Igloo about the trends companies should take into account when preparing for success in the business world – both now and in the future. Specifically, we covered developments involving demographic shifts, technology advances, evolving structures, human skills, and career customization. Change can be hard when it comes to workplace technology. Employees get used to certain systems – however outdated and inefficient they might be – and sometimes resist the introduction of new solutions – however effective and laboursaving they might be. At many organizations, legacy intranets get in the way of strong internal communications, employee engagement, and workflows. This was the situation confronting the Ontario Medical Association (OMA). There’s a real urgency to get on the path to digital transformation in organizations of all sizes in every industry. Enterprise leaders are making big investments in tech-based solutions, apps, and tools in hopes of gaining a competitive edge, with spending on digital transformation expected to reach $1.7 trillion worldwide by the end of 2019. But are companies making the right investments in the right solutions? Igloo Software, the leading provider of digital workplace solutions, released findings from their latest study, The 2018 State of the Digital Workplace report, which examined how employees are collaborating, the effectiveness of current knowledge management tools and practices, and the level of employee confidence in the security and their ability to use the tools they are provided at work. Corporate culture has undoubtedly been on organizations’ radars for the last few decades, but when we think of providing a positive one, we tend to focus only on superficial additions like free lunches, happy hours, beanbag chairs and foosball tables. But in the future world of employment, professionals of all types will expect a working experience comparable to the one they have at home via apps like Netflix and Amazon. It’s the final day of ICE’18 here in San Antonio, but by the look of the early morning crowd at the breakfast area, most attendees were ready and rarin’ to go. ICE’18 has been such a huge success! In case you missed some or all of the activities so far, this post will fill you in on what you missed and share insights into what’s still to come today. Good morning! The Igloo team is here in San Antonio, Texas and its Day 1 of ICE’18, the definitive digital workplace event of the year. Attendees will be in for a treat as these next three action-packed days will showcase a compelling line up of digital workplace keynote addresses, training sessions, workshops, roundtable discussions, an awards ceremony, and more. Knowledge is everywhere in today’s workplace, but it’s not always easy to find, use, and share. There’s no value in unused information and insight, and searching for hard-to-find data can hinder efficiency. Consider this alarming finding: about one-third of employees have avoided sharing a document with a colleague because it would take too long to access it. This is why knowledge management is so important. Remote work can be key to employee well-being. It gives people the freedom to get work done wherever and whenever, freeing up precious time for family, friends, and other priorities. Yet organizations with remote employees face unique challenges. Without a physical home, a dispersed workforce may struggle to form strong connections with colleagues and the company itself posing a challenge to build a thriving company culture. The following is a guest post by Cameron Nouri, Director of Growth at Pingboard. In almost every facet of life, digital technology influences the way people work and interact with each other and the world. Likewise, in the workplace, digital tools are shaping the way individuals collaborate, share ideas, and perform everyday tasks. Digital transformation is no longer just a buzzword, but an enterprise priority. By the end of 2019, spending on digital transformation is expected to reach $1.7 trillion worldwide, up 42 percent from 2017. Many business leaders feel they’re in a digital race, with two-thirds saying they believe that their companies must pick up the pace to remain competitive. But how does this sense of urgency play out on the ground? Do current tools enhance knowledge sharing? Do employees trust the security of their internal systems? Employee engagement is all the rage, so it’s not surprising that a new term has emerged that encompasses engagement: Employee Experience. 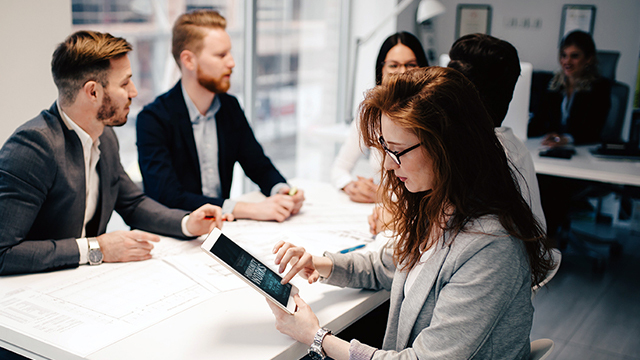 The employee experience can be defined as the sum of all interactions an employee has with their employer, and includes how the employee perceives the company overall and their role in the company. It wasn’t so long ago that IT departments kept busy by buying, managing, and troubleshooting all the hardware and software at companies. Then a few pioneering employees started bringing their mobile devices onto the network. Soon bring your own tech (BYOT) was the norm, followed by bring your own app (BYOA) – and the rest is history.